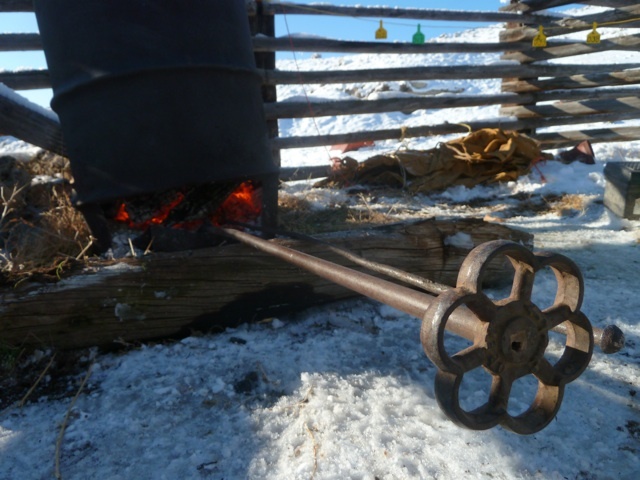 The home made branding iron heats in the cedar fire. The snow melts backwards in ridges. The heifer clangs into the chute. The iron is pulled and a “0” appears on the heifer’s hip. Born in 201*0*, it is now forever imprinted on her hide. She holds inside her black self, fantastic genetics, a good frame, and a baby calf. She is the future of the ranch. She has met with our strict approval, our timeline, our hopes. She will stay with us a decade. We will hover over her first calf, breed her in the future to quality Angus bulls, feed her hay in winter, supply her with good water and grass and mineral the rest of the year. We will record her life and her calves’ lives. She becomes an investment in our future today. She is a replacement heifer.